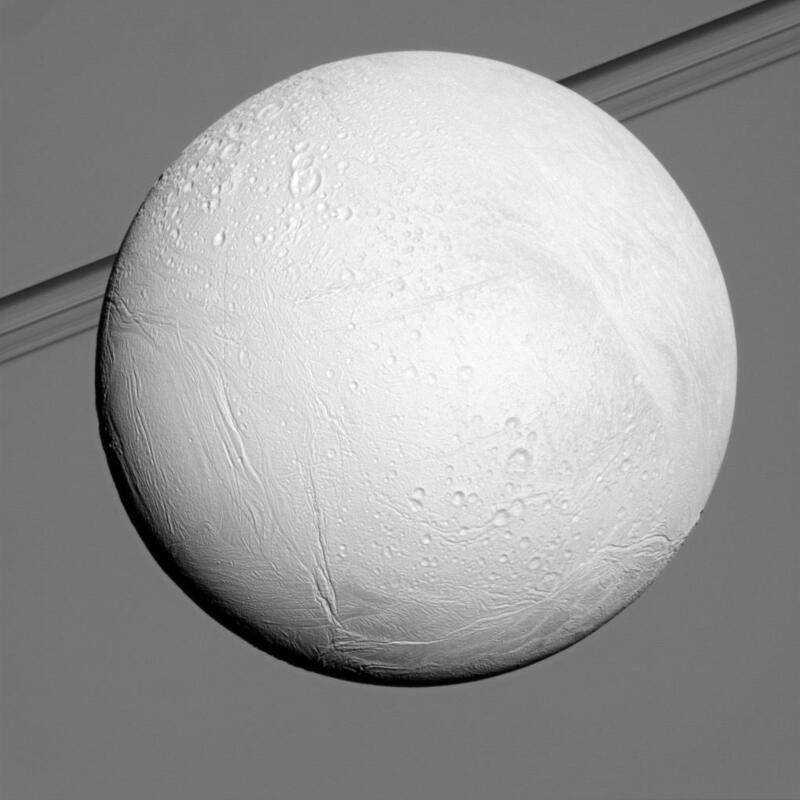 Here’s a portrait of Enceladus, seen against a backdrop of Saturn’s atmosphere and ringplane seen edge-on. The ice-covered moon is one of the most reflective bodies in the solar system, bouncing back nearly all the sunlight that strikes it. Enceladus’ surface contains many different kinds of terrain, from older heavily-cratered regions to smoother, newer ground and areas that are folded and wrinkled like an elephant’s skin. Internal heat maintains some sort of liquid ocean below the surface of Enceladus, yet its exact composition, origin and depth remains a mystery. 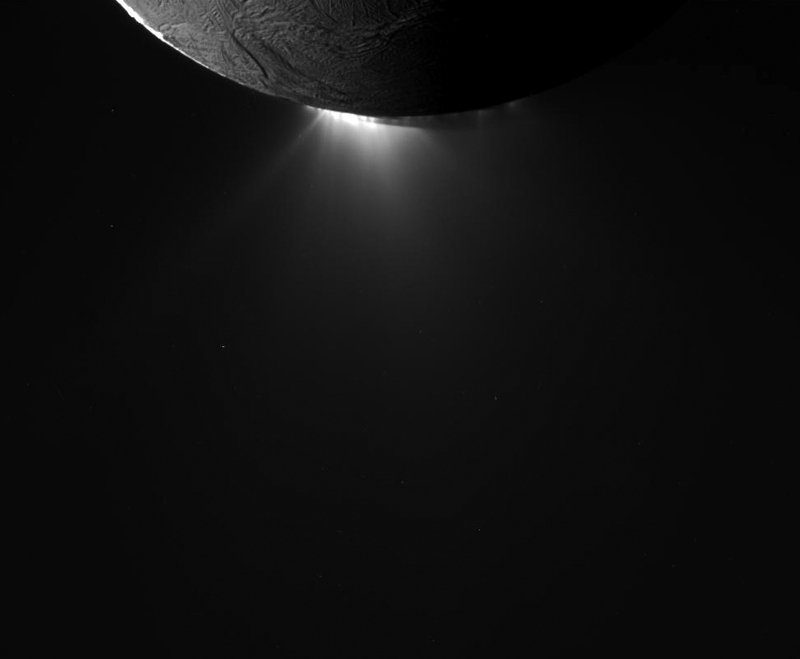 Luckily Enceladus is a bit of a show-off and advertises its watery secrets via geysers that spray icy plumes out into orbit through fissures along its south pole. The Cassini spacecraft spotted these geysers in 2005, turning everyone’s eyes toward this surprising little moon that, at only 313 miles (504 km) wide – about the width of Arizona – may otherwise not have garnered much attention. Sometimes a little extravagance is a good thing! This image was taken by Cassini on December 21, 2010, at a distance of 63,000 miles (102,000 km). Read more about it on NASA/JPL’s Photojournal here. Previous Post New Images of Tempel 1! Next Post Tyche: Have We Marked the Spot of Planet X?